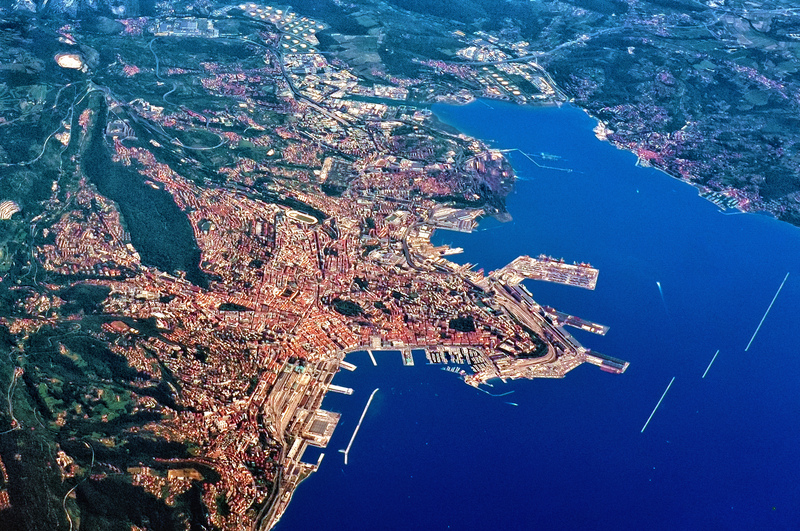 The international Free Port of Trieste is a State Corporation of the present-day Free Territory of Trieste, an independent Sovereign State established at the coming into force of the Treaty of Peace with Italy, signed in Paris on 10 February 1947. To read the Treaty of Peace in the official English, French, and Russian versions: UN Treaty Series vol. 49 No. 747. The Free Trieste Movement is actively raising awareness about this important economic resource, defined as the “European Singapore” by investigative newspaper “La Voce di Trieste” (LINK) and as the “Unknown Dimension” by economic Austrian newspaper “Börsen-Kurier” (LINK). 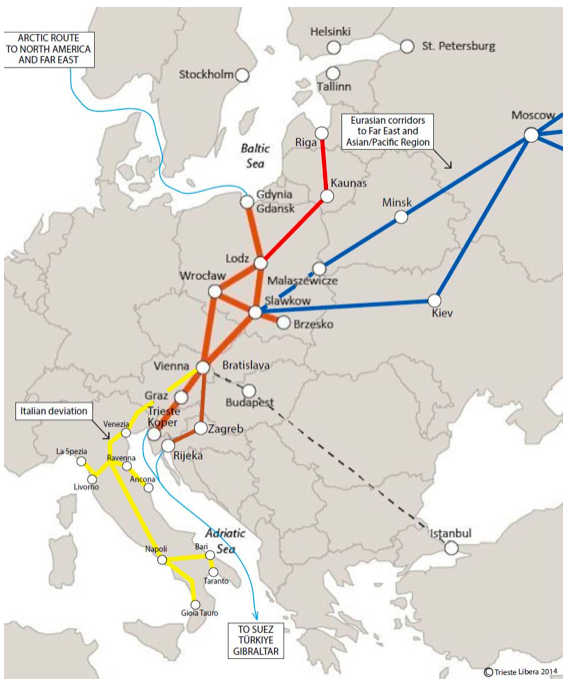 Unfortunately, the Italian political system is since long attempting to suffocate this unique free port to favor the same Italian ports that are under the most strict control of organised criminality; right now it is attempting to divert the traffics of the Baltic-Adriatic corridor from the port of Trieste to the ports of Southern Italy, an illegal action that would not only breach the Treaty of Peace with Italy, but also cause a permanent strategic damage by subtracting enormous development possibilities to Trieste, but also to the nearby ports of Koper – Capodistria (Slovenia), Rijeka (Croatia) and Ploče (Bosnia). Finally, in July 2017, the Italian Government issued a decree for the administrative management of the free zones of the Free Port of Trieste, in which it had to recognize to be exercising the temprare civil administration of the present-day Free Territory and international Free Port of Trieste. All details are contained in the official statement of the International Provisional Representative of the Free Territory of Trieste – I.P.R. F.T.T. which is published, together with the English translation of the decree, by newspaper “Il Corriere di Trieste” at this LINK.